Your business doesn’t need to be a billion-dollar, multinational company like Walmart, to make use of Big Data, artificial intelligence, etc. In fact, learning how to use this technology could be a distinctive advantage for a small business too. Many small and medium-sized businesses won’t take advantage of this potential edge. They assume that Big Data and artificial intelligence is reserved exclusively for large companies. The majority of techniques used in Big Data and the Internet of Things (even some artificial intelligence) don’t require a large budget or a huge staff. They only require a willingness to learn and experiment. Big Data sounds magical, especially if you don’t currently use it. Big businesses are able to achieve amazing things with Big Data (like Target did when it guessed a teenager’s pregnancy before she told her parents) or help businesses like Walmart monitor and fix sales in real time. Reading stories like this, you might get the impression that you need to be a multi-million business with access to the latest in technological gadgets and talent. Data Smart destroys that belief. It helps readers achieve the same results as those data scientists you read about…with a simple spreadsheet. The book starts off with the basics of spreadsheets and then walks you through the process of completing K-means clustering, risk modeling, regression and more. If you ever wanted to learn a couple of Big Data techniques yourself, without having to attend an expensive online class or hire an expensive data scientist, this book is your best bet. It allows anyone with some spreadsheet knowledge to accomplish powerful results. What does using Big Data at work even mean? Is it something that only your IT department should be worried about? What if you’re not a data science or computer whiz? Does Big Data affect you too? These are the questions Tom Davenport wrestles with in his book Big Data at Work. As Davenport shares on his Amazon page, he was skeptical of the “Big Data” hype. When he studied it further, Davenport found that Big Data is something that every level of your organization needs to understand. In Big Data at Work, Davenport helps readers understand the implications of Big Data, why every business should use it, and how every business can leverage it to open new opportunities. Most business owners have the mistaken assumption that you need to be a large-sized business to leverage Big Data. Big Data for Small Business for Dummies shatters that assumption with an accessible, easy-to-use beginner’s guide to the power of Big Data applied to your small business. The book lays out the foundation of what Big Data is and how smaller businesses can leverage it to make smarter decisions. Big Data for Small Business for Dummies does more than introduce the topic of Big Data, however. 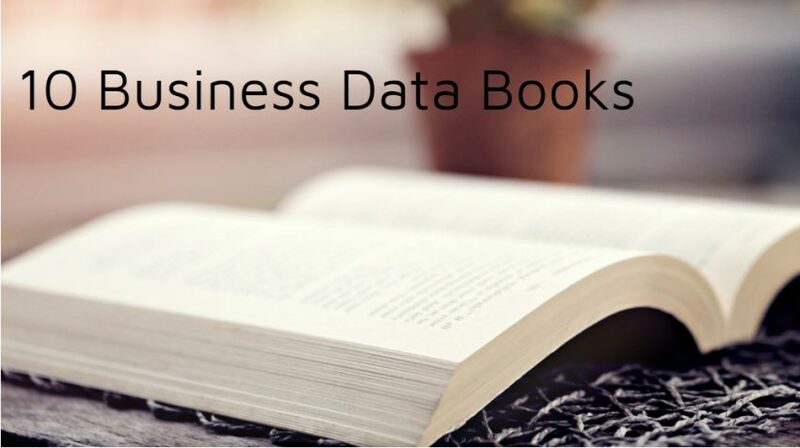 The book helps transform your small business into a Big Data machine. It outlines the individual skills and organizational capacities any business, regardless of size, can develop (on its own or with outside talent) to leverage the increasing amount of data available now and inceasing to astounding levels in the future. Collecting data is only one aspect of what a business has to do. Using and sharing this data with the right people, especially in the era of Big Data, is what will set your business apart. Storytelling with Data helps business professionals do this. Using this book, readers can break out of the narrow view of boring and cluttered Power Point presentations and into the colorful and dynamic world of data visualization. Storytelling with Data approaches the topic from a different perspective than most books of its kind. The book’s focus isn’t just on data sharing. Author Cole Knaflic wants readers to tell a story with data. Stories are what people remember. Stories are how people connect with others. The book focuses on the principles that will help readers find the best way to present their data, whether it’s a graph in a report, a chart in an email or an infographic on a blog post. Using Storytelling with Data, readers will learn how to communicate more value than the data on the screen. Before we step into the future, perhaps we should take advice from a pioneer in the past. In The Third Wave, AOL pioneer Steve Case shares his vision about where the world of technology (including everything from artificial intelligence to Big Data) is going. Case was the co-founder of AOL and helped the business achieve mainstream fame. His efforts and those of his business represent what he calls “the first wave” of the Internet. The “third wave” of the Internet, according to Case, will feature the Internet of Everything. More and more devices will get connected to the internet, causing dramatic changes in the way we do almost everything. In The Third Wave, Case explores this future and provides recommendations for entrepreneurs (and society, in general) on how to prepare for and adapt to it. The previous book on this list, The Third Wave, looked at how society will change in the future. Mobilized looks at how people will react in a future where almost everything has an internet connection. The book’s central premise is that some basic principles present today can help businesses prepare for and thrive in the future. You need only look at people’s obsessions with their mobile phones. The attachment people have with these phones has psychological components to it. Those psychological components are the marketing “gold mine” for businesses to selling everything from smart refrigerators to smart toys. Businesses who ensure that customers become attached to the smart products of their future like their mobile phones will have a loyal and growing customer base. Getting to that point requires mobilizing resources and data. That’s the goal of this book. Having access to all kinds of data doesn’t help if you don’t know how to interpret it adequately. Helping people (especially consumers) interpret the vast amount of data available in the world today is the chief purpose of Everydata. The book explores the consequences of living in a world which surpassed the 2 zettabytes (that’s 2 trillion gigabytes) milestone. While we may not think about it, those infographics, Tweets, white papers, and presentations do more than add to the total volume of data in the world. They also influence our decisions and habits. Everydata explores how businesses and organizations are influenced (and influencing) the world through this data. It looks at the data driven decisions that influenced the Challenger disaster as well as modern decision making in everything from elections to disaster recovery. It provides recommendations on how individuals can make better sense of this “everyday data” so they avoid making tragic mistakes. This book tackles another topic that small business owners (and others) fear, artificial intelligence. Many businesses fear that artificial intelligence along with automation will disrupt industries, destroying people’s jobs along the way. While it is true that automation and artificial intelligence will disrupt industries, this doesn’t mean we are all doomed. In Tomorrow Today, Donal Daly shares his belief about the positive contribution of artificial intelligence to our lives, including our work (especially knowledge workers). Daly is the former CEO of a company that created the first augmented intelligence platform (business intelligence that combines machine and human intelligence) for sales. Tomorrow Today helps readers explore the possibilities in a world where humans are in the center of a robot-driven future. If you’re a fan of Amazon, you probably love the diverse array of ways you can buy and shop on the ecommerce platform. 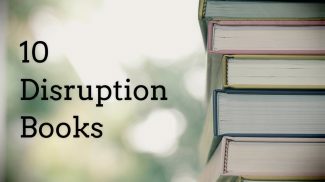 This former online bookstore has unleashed a barrage of products and services that have disrupted entire industries: eBooks, online videos, online storage, phones, electronic devices, shopping apps, etc. This list continues to grow seemingly by the day. If you’re not a fan of Amazon or a business that is competing with Amazon, you might not be as thrilled. You might be interested in Amazon’s approach to technology. If you are, The Amazon Way on IoT offers a sneak peek at the principles behind Amazon’s “secret sauce” when it comes to use of technology. The book guides readers through the complex maze known as the “Internet of Things” using Amazon’s successful approach. If you own a brick-and-mortar store, you might be more than a little worried about the increasing trend of customers choosing to go online. The rise of technology doesn’t have to destroy your bottom line. 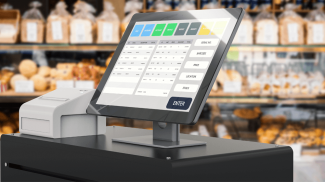 In fact, retail and other commerce business owners can leverage technology to achieve more profits. Those businesses that are ready to take advantage of the technology around them can use The Future of Commerce. This book explores the different ways that businesses are changing their models for the future. It shows how jewelry stores are adapting to the times and allowing people to rent jewelry. It shows you twenty other stories just like this which might boggle your mind but also represent profitable opportunities in the very near future. If you want to know how all of this “new tech” stuff (Big Data, artificial intelligence, Internet of Things, etc. ) will apply to commerce in the future, this book will give you a glimpse. The future will be disruptive for every business, no matter what size it is. Because of that fact, it is up to every single business owner to decide how he or she will adapt to that future. Small business owners could run and hide, hoping that the disruptive future misses their industry or they can get proactive using the tools designed to help them thrive in that future. 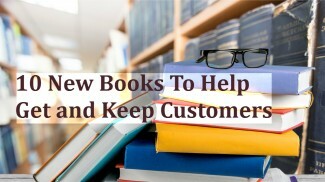 If you are ready to take your first steps toward mastering those tools, then any of the books on this list should give you a competitive head start. Learning about big data is now essential. Most businesses need to handle massive amounts of information and learning about how to organize and manage them is simply a must. This is the age of big data. It doesn’t matter if you run your business alone, you still need to deal with all of your content and that is still data. This knowledge is so useful in just about any field. It teaches you to manage information and access it when needed.